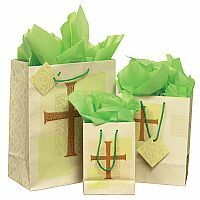 Gift bags featuring Christian artwork appropriate for weddings. 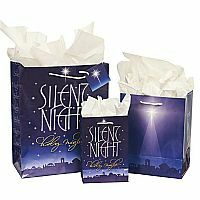 Gift tags and tissue paper included. 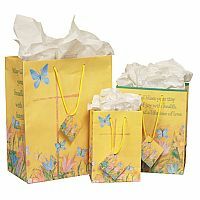 Celebrate the sacrament of matrimony with these beautiful bags. 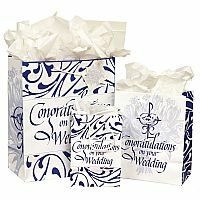 The large and small bags feature a blue filigree design around the message "Congratulations on your Wedding." 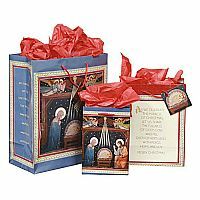 The sides feature a religious wedding symbol (two flowers and rings joined in a Chi Rho) in dark blue. 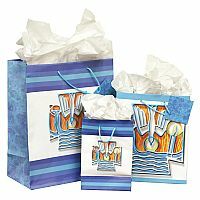 In the background is a light blue woodcut image of a bouquet of wedding flowers. 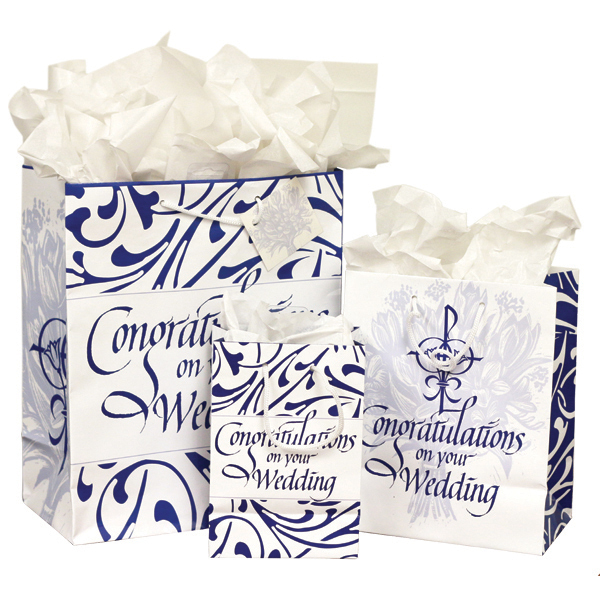 On the medium bag, the wedding symbol is on the front and back, while the sides are covered with the reverse of the filigree design (white on blue).